This apparatus made in total 316 S.S. Pharmacy lab offers complete systems for aseptically filtering liquid samples. The sterility tests in these systems are done by the bacteria-retentive membranes filter method. A 47 mm membrane filter is installed in a suitable holder. The liquid sample is drawn through this sterile membrane filter to concentrate any contaminating micro-organisms on the filter surface. 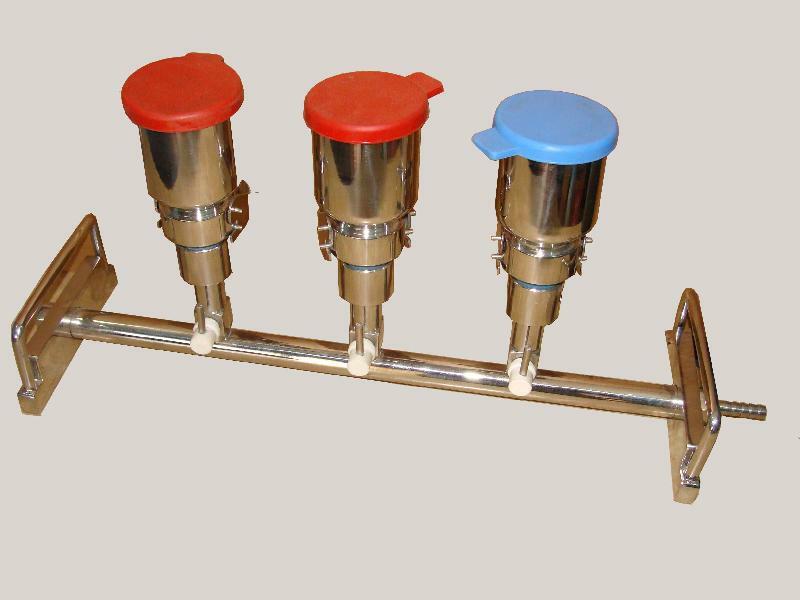 After filtration is completed, sterile flushing fluid is passed into the funnels, rinsing all sample residues through the filters so that is cannot possibly inhibit growth of the retained micro-organisms. After this, the filter is sectioned and aseptically transferred to media for culturing. If growth is not visible after the incubations period, the sample passes the text.